Maybe I’m not as smart as everyone else on the Internet, but the upgradeability of Apple Watch seems relatively simple: WatchKit (and future Watch dev tools). For all the hand-wringing about tech specs, new system-on-a-chips, and future-proofing, everyone seems to ignoring the fact that Watch software will be run via the iPhone in your pocket. Will Apple Watch Edition paired with iPhone 6 will be no functionally different than Apple Watch Sport paired with iPhone 5s as long as both combinations are running the same version of iOS. Apple has promised delivery of more robust development tools in the near future for Apple Watch, but who’s to say that those promises include access to run apps directly on the Watch itself? Most are assuming this to be the case, but we have been given next-to no indication of that being the case. It could mean anything from applications with the depth, breadth, and interaction details from very complex iPhone apps to slightly more complex glances than are available with WatchKit. While Apple’s answer is TBD, I’d venture to guess that the answer will lie somewhere closer to the latter than the former. Besides, if I have a super computer in my pocket, why exactly, do I also need a super computer on my wrist (Apple Watch will certainly not be a dumb bluetooth terminal, but I predict most on-watch computing will be specifically related to the sensor data and updating the screen)? While I certainly could be accused of being short-sighted here, I posit that Apple Watch will not be, nor need to be, upgradeable hardware, but instead, upgradeable via the changing-every-two-years device that is powering it from your jeans pocket: the iPhone. What about future future health or biometric sensors, cameras, or jet packs?! Those will come in time. Those will be released when new hardware is designed and released. Those will probably even include new model-specific software. Those, however, will not be “upgrades”, but wholly different lines or models that will be sold along-side the original Watch lines. 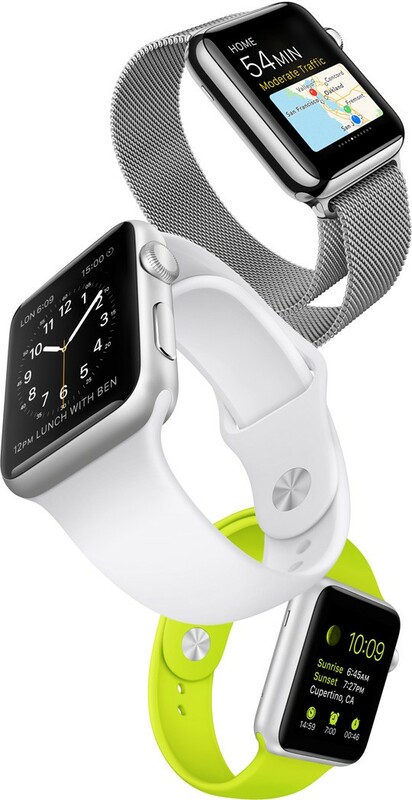 Your April 2015 Apple Watch Edition will not be obseleted by the Apil 2019 Apple Watch Couture. Those two devices will include the same iPhone-powered glances, the same accurate time and complications, Siri, etc. They will surely differ in some other ways, but the power of the updated-iPhone in your pocket, will allow that 2015 purchase to far-outlast other “technology” purchases. The iPhone is how the Watch will be upgradeable.